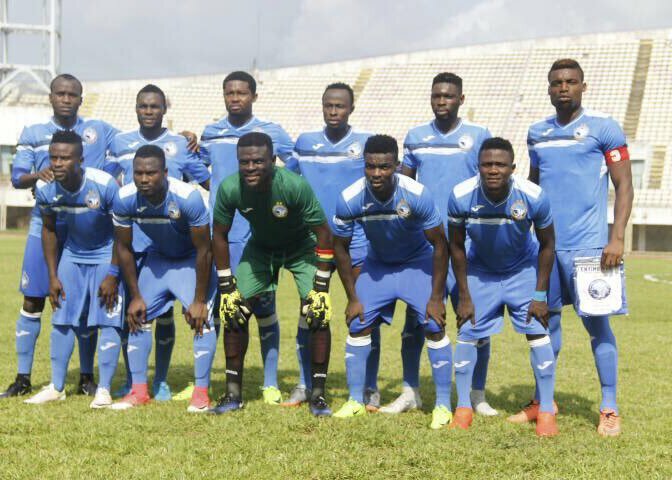 Enyimba caretaker coach Usman Abdallah has told www.busybuddiesng.com that the People’s Elephant are determined to pick at least a point when they face Malian giants, Djoliba in Bamako in a Match Day 5 fixture of this year’s CAF Confederation Cup. The 2-time CAF Champions League winners, who lie 3rd in Group C of the Confederation Cup with 6 points, confront Djoliba on 19 August in a potentially make-or-break encounter. And Abdallah has said Enyimba cannot afford to lose to the Malians in Bamako considering the importance of the tie to their advancement in the competition. “We are going there (Bamako) to fight and come out with something,” he said. “I think going to Mali and coming back empty-handed is out of the question. “We will go to Mali, get a win or at least a draw, and come back. Then we’ll wait and see the results of the other matches. “You see, sometimes we played a game, we finish our part, and then, the other results also dictate or have influence in what is going to happen. We don’t have to depend on the other results. The most important thing is for us to get as much maximum points as we have to. An unlikely win for Enyimba against Djoilba in Mali will see the 7-time NPFL champions move to at least second place in the group, before facing leaders, CARA Brazaville of Congo on 28 August in their last game in Nigeria.